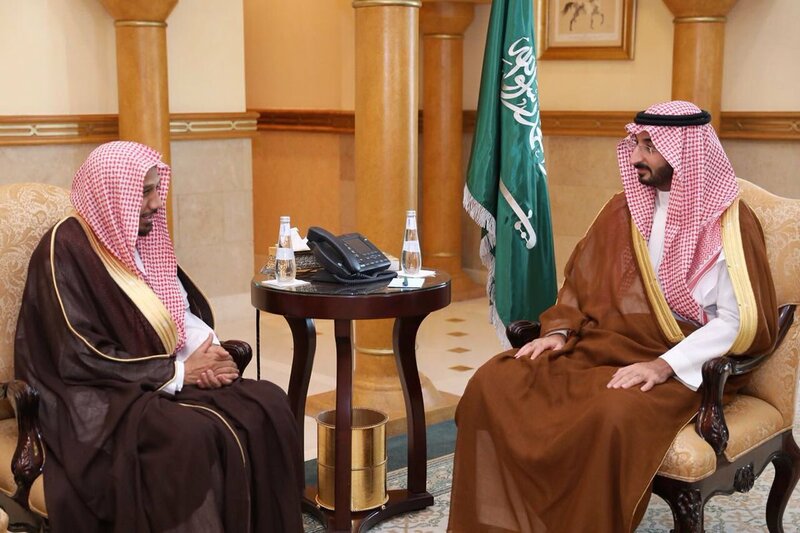 HRH Prince Abdullah bin Bandar bin Abdulaziz, Deputy Governor of #Makkah Region, received HE the Int'l Organization for #Quran & #Sunnah SG Dr. Basfar. He briefed HRH on the programs of the Organization around the world. HRH stressed to teach moderation & show Islam’s tolerance.